When people think of “busy” the image of a parent with a full schedule is usually a common image. 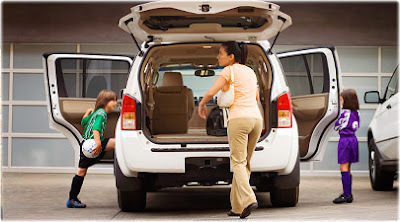 With more and more families containing working parents these days, it is no wonder parents are seen as the busy ones. 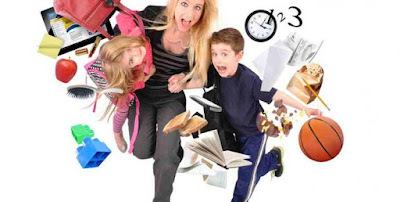 Between taking care of the family, running errands, keeping up with a career – and not to mention hobbies or passions if one has the time – parents are often running around, maintaining their hectic lives. But when people think of kids, they tend to think of bygone, carefree days full of imagination and play time, right? Along with busy parents, there are busy kids. With more social and academic pressures in our society urging parents to keep their kids active, to have them participate in sports, after school activities, take up an instrument, learn a language, or join a variety of different clubs, kids may be overworked, too. For teens, activities are a great way to bolster a college application and is something that many establishments look for when it comes to choosing prospective students. Younger kids may be along for the ride, especially if mom and dad, as well as their siblings, are constantly busy. Whether kids are part of a club because their friends are or simply because there is no one to pick them up after school until one parent or the other becomes available, kids may feel stress and pressure from constantly running around as much as their older family members do. However, keep in mind that it is important to SLOW IT DOWN. Take a moment and think about your child’s life and what they may be experiencing. If it’s hectic, sit down together and decide where you can cut back. If it’s overly structured, set aside time for blowing off some steam. Downtime is crucial for these times and staying home, relaxing, reading a book together is probably much needed rest a child needs.